Spinzilla Review - 500% Bonus on First 5 Deposits and 50 Bonus Spins! If like Place a Bet Online you’re looking for high quality gaming, then a site launched in 2016 could be your answer; let us introduce you to Spinzilla. The creative bods behind the impressive Bingorella have done it again, with a colourful, funky and easy to use theme. 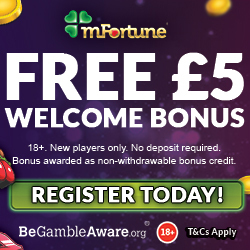 If it’s games your after then head over to their tab at the top of the page and you’ll discover a raft of choice, including slots, casino games and scratch cards. If you’re not sure what you’re after, then use the filter system available to drill down by category or theme. But with amazing games such as Aloha, Action Bank and Starburst, you’ll probably want to try as many as possible. Spinzilla is available on mobile and tablet devices with a specific portable app, which means you can access incredible gaming whenever you choose. Registering on Spinzilla is quick and painless, then you’ll enter a world of exciting slots and reels galore. But before you deposit any of your hard earned pennies, you’ll be delighted to discover that as a welcome Spinzilla will give you £5 bonus credit; no deposit required. This will help you begin to enjoy some of their 200 plus games and fingers crossed you’ll win a jackpot along the way! 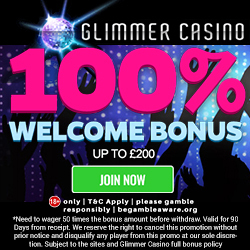 5th deposit, 100% cash match bonus between £10 and £100, with 10 spins on Fish and Chips. 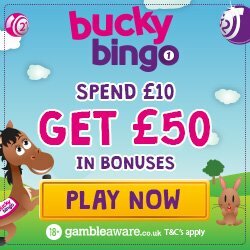 This means that if you take advantage of this great offer and add the maximum amount, you will end up with £500 extra credit or a grand total of £1,000 to game with; plus the 50 spins. With so much on offer we’re sure you’re eager to tell your mates about this great site. If they’re convinced and decide to register and deposit, make sure they add you for the refer a friend bonus. You’ll receive £10 bonus credit for each person you refer, with a cap of 15 per month. Spinzilla love to reward loyalty, so every time you bet £2 or more you’ll earn loyalty points. These can be redeemed as bonus credit, so whether you win or lose you’ll still receive a little something back. If you have any problems or questions, you can contact a Spinzilla representative 24/7. They are available via phone, email or their contact form and aim to respond within a reasonable time scale. They accept the usual banking methods including Credit and Debit Cards, Paypal, Paysafe Card, Entropay, Neteller and U Kash. If your head is in a spin with all of these amazing offers, then why not take advantage of them by heading over to Spinzilla.